A loan of $350 helped to maintain and improve her tricycle, such as changing the oil and buying new tires and side cover. 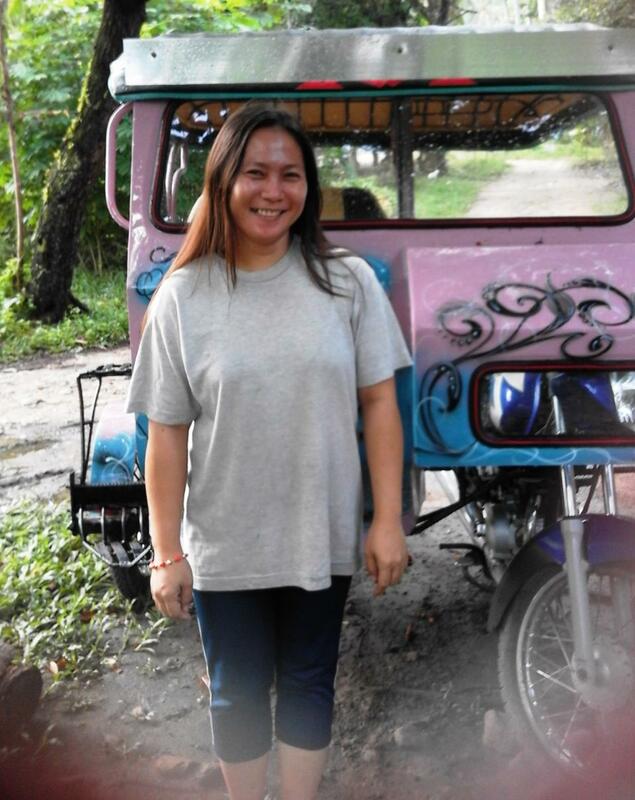 To earn a living, Annabel and her husband have operated a tricycle business for five years. Tricycles (motorcycles with a covered sidecar that seats anywhere from one passenger to as many as the driver will allow) are a common mode of public transportation in the Philippines. This has been their main source of income for the past five years. Annabel and her husband work together to meet the needs of their family. Annabel is a mother of two children, ages 14 and 12. Definitely, Annabel is asking for a loan to maintain and improve their tricycle, such as changing the oil and buying new tires and side cover. She wishes to improve her business and their standard of living.